Preferred Area of Practice: Family Law, including marriage and cohabitation agreements, separation agreements, divorce, property division and custody issues; Estate Planning and Administration, Probate Matters and Estate Litigation. 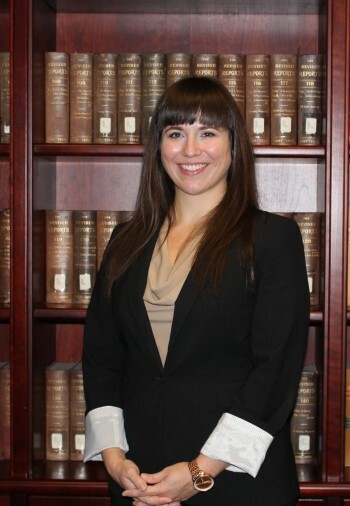 Elizabeth graduated from the Schulich School of Law at Dalhousie University Class of 2013 and articled with Legal Aid in The Pas, Manitoba. She was called to the Bar in 2014, in both Manitoba and British Columbia. Elizabeth also holds a Bachelor of Arts Honours Degree from Queen’s University and a Master of Sciences from the University of Edinburgh. Elizabeth is a member of the Law Society of British Columbia, and the Canadian Bar Association. She is currently serving as President of the Cowichan Valley Bar Association. Elizabeth also serves as Board Chair of Big Brothers and Big Sisters Cowichan Valley. In 2017 Elizabeth was recognized as one of the Top 20 Under 40 Vancouver Island Business and Community Award recipients.